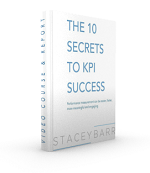 Is Your KPI in Chaos? 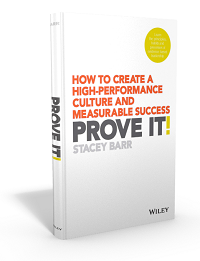 The only way we can get performance to improve is to have some quantifiable influence over it. But some areas of performance are so chaotic that any improvement we try to make is swallowed up by the chaos, and we can’t quantify (or even see) the change we’ve made. Chaos in a performance measure is a very visible condition. If we monitor our measures in line charts (or even better, XmR charts) we see the chaos in the behaviour of the points of our performance measure. It’s not as simple as variation, though. Every measure will have variation, even the best performing ones. What defines chaos is not that our measure values vary over time, but that the size of these variations varies over time. The size of the variation over time is so consistent that we could easily predict where the next few measure values are going to be, so long as the process continues as it has been. A consistent amount of variation over time is what defines it as stable, and it’s why we can easily see the improvement over time. We can’t predict where the next few measure values will be. An inconsistent and wildly fluctuating variation over time is what defines chaos. What’s the point of knowing the difference? 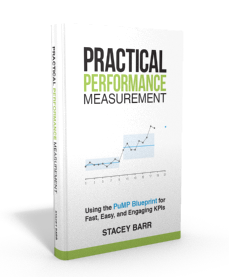 The point is that when a measure is behaving chaotically, there is no point setting targets for it or trying to elevate performance. The chaos will swallow up the effort and waste our time. What’s needed instead is that we remove the causes of the chaos. One of the most common causes of chaos in a performance measure is that the process that the measure is tracking is haphazard and random. It lacks standardisation. It has no deliberate and consistent steps to follow to carry it out. Sydney’s business is so busy that there’s been no time to set up routine procedures for how to fulfil customer orders. It just gets done by whoever is free, whenever they become free, in whatever way they decide on the day. Sydney’s customer satisfaction measure is chaotic. Sam’s business runs like clockwork because everyone follows pre-defined procedures for getting stuff done. It doesn’t matter who does it, they do it pretty much the same each time. Sam’s customer satisfaction measure is stable, and shows quantitative improvement over time. Be like Sam, not Sydney. Do you have any measures that are chaotic? Tell us all about it!